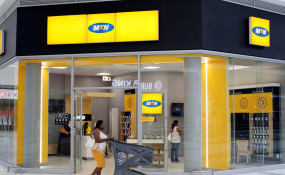 The deported chief executive officer (CEO) of telecommunications company MTN Uganda, has sued the country's attorney general. Mr Wim Vanhelleputte, a Belgian national married to a Ugandan, is challenging his deportation on grounds that it was irrational and illegal. In his affidavit, a copy of which was seen by this reporter, Mr Vanhelleputte says he is entitled to fair and just treatment and due process before an administrative body and/or any person, and also has a right to be heard. "The applicant has never committed any offence or criminal act under the laws of Uganda and neither is he responsible for breaking any law. That there's no lawful reason whatsoever for his deportation. That it is in the interest of justice that his deportation be quashed," the affidavit reads in part. Mr Vanhelleputte further contends that he has been a regular visitor to Uganda since 1993. He further avers that he has been married to Babra Adoso Vanhelleputte, a Ugandan citizen since April 29, 2000. "Our marriage was celebrated both in Uganda and Belgium. That I and my wife have two children namely Vanhelleputte Jonathan aged 17 and Vanhelleputte Jason 13," reads his affidavit. Mr Vanhelleputte now wants the High Court in Kampala to declare that his deportation by the Internal Affairs minister, Jeje Odongo, was arbitrary, irrational and illegal. He also wants court to quash his deportation and order for general damages for illegal detention and deportation and any other relief that court shall deem fit. This comes amid reports that MTN Group Chief Executive Officer Rob Shuter is one of the high profile guests expected to attend the Africa Now Summit in Munyonyo, Kampala which will take place from March 12 to March 13. Museveni last met the MTN group boss in January in Davos, Switzerland, where they discussed an array of issues. At that meeting, Museveni advised MTN to work towards floating shares on the Uganda Stock Exchange so that Ugandans can partly own the company. Rwanda's President Paul Kagame (EAC-Chairman); South Africa's Cyril Ramaphosa; and Egypt's Abdel Fattah Saeed Hussein Khalil El-Sisi (AU-Chairperson) are also expected to attend the two-day event. The summit is an initiative of Africa Strategic Leadership Centre (ASLC) and will be conducted under the theme, "Towards a secure, integrated and growing Africa".